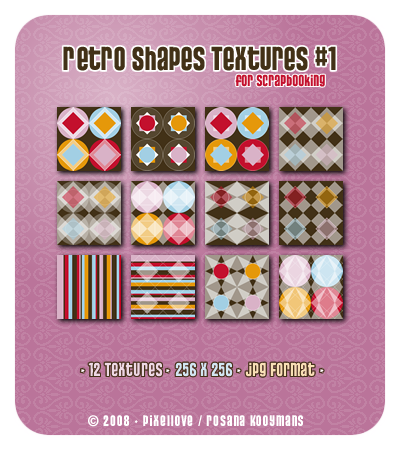 Another set of retro scrapbooking textures. There are 12 high quality JPG images, all sized 256x256. You can use them for scrapbooking or other personal things, like a website. But give credit where credit is due please! If you would like smaller textures, please let me know. I am willing to make changes, just ask. When you use them, please contact me! I would love to see what you make with my textures.